We are also told that after the massacre, SHES relocated to an empty school in neighboring Monroe, CT — Chalk Hill Middle School at 375 Fan Hill Rd. — until a new swanky SHES was rebuilt with the $50 million from the state of Connecticut as a result of the shooting massacre. Note: That may be because “Leonard Pozner” doesn’t actually exist, according to marriage and family therapist Mona Alexis, who maintains that “Leonard Pozner” is the alias of a man named Reuben Vabner, and that pics of the 6-year-old Noah Pozner are actually the younger pics of now grown-up Michael Vabner. A search on two paid-subscription people-search engines, Spokeo and TruthFinder, indicates that there is no “Leonard Pozner” in Florida, Connecticut, or the entire U.S. of A. Nor is there a “Leonard Pozner” or a “Noah Pozner” among the family members of Leonard’s ex-wife and mother of Noah, Veronique Patricia Pozner, who is also known as Veronique Vabner. Interestingly, on September 11, 2012, three months before the SHES massacre, Veronique had filed for bankruptcy. 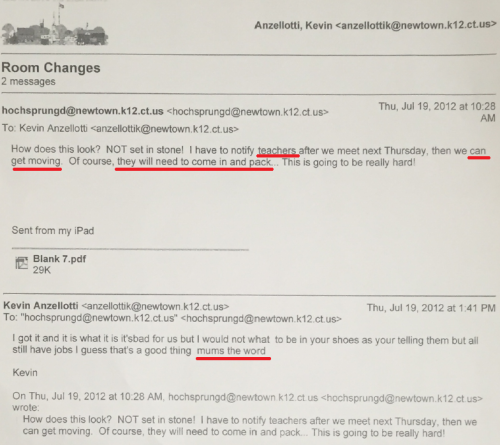 Refusal on the part of the State of Connecticut Freedom of Information Commission to provide Halbig with documents he’d requested, invoking the Freedom of Information Act: SHES maintenance orders and emails from SHES principal Dawn Hochsprung to food services provider in the months immediately preceding the “massacre” — remember this! Below is a screenshot of the invoice. I painted a red box around the words on the top right: “Created: 4/26/12”, which signifies that the invoice was created on April 26, 2012, nearly 8 months before the alleged shooting massacre. 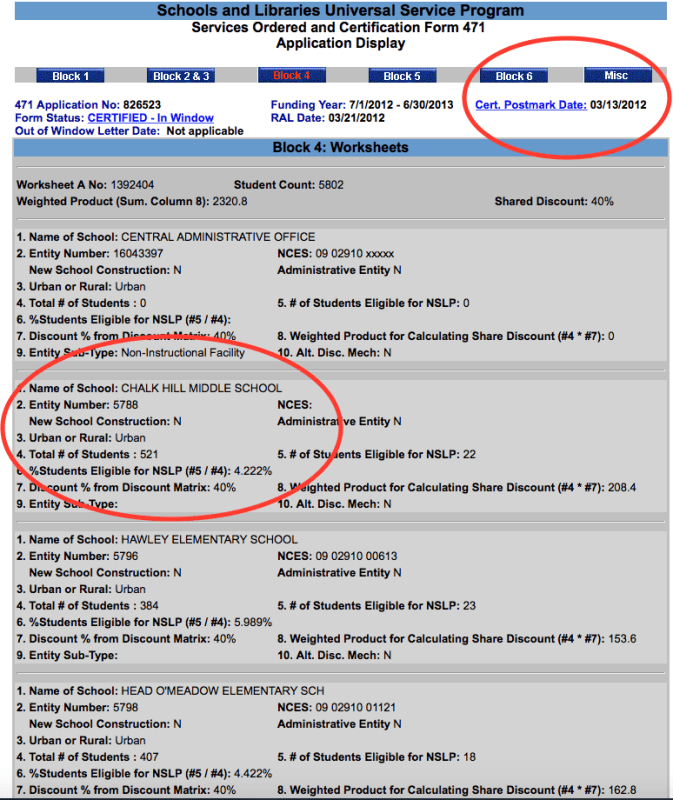 I have stated in previous posts that Sandy Hook Elementary School had long been closed before the “massacre” because it contaminated with asbestos and other environmental toxins. Alas, the local newspaper Newtown Bee memory-holed its articles on the contamination. But this Newtown Bee article published a year after the “massacre” confirms the school was contaminated with “widespread haz-mat presence”. 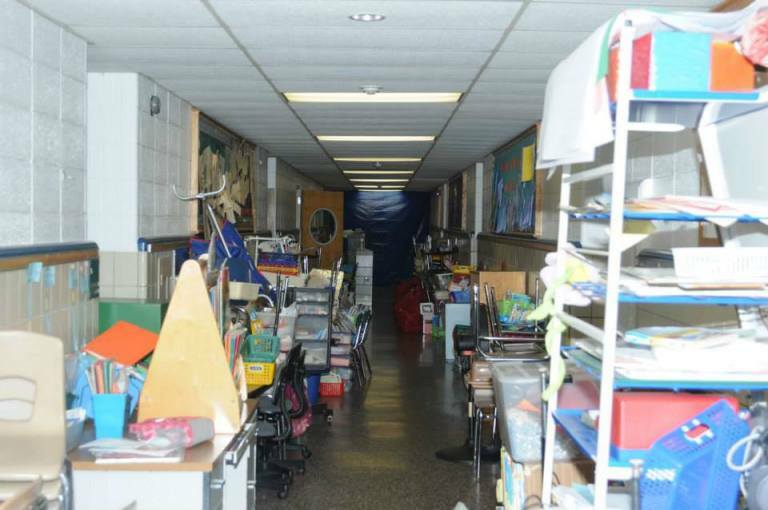 For the school to remain open would be to place its staff and students’ health and lives in danger, which would render the school vulnerable to lawsuits. 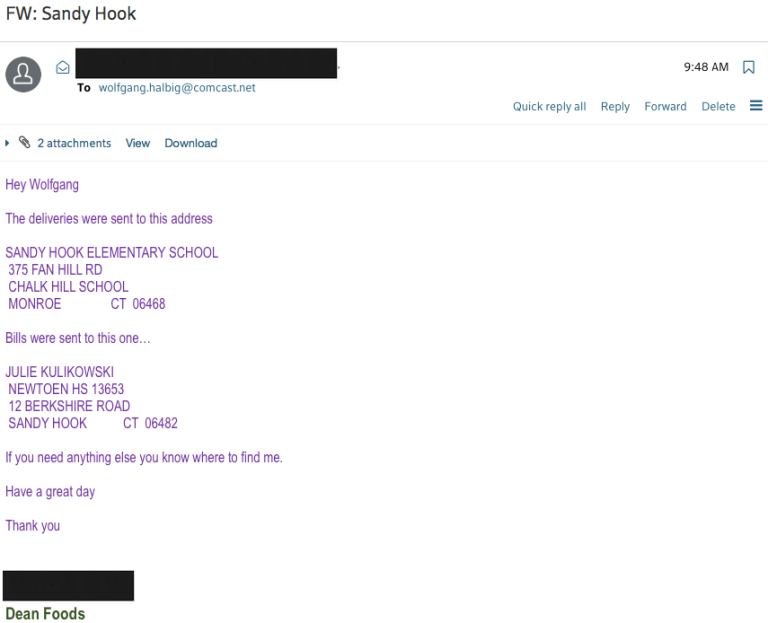 This entry was posted in conspiracy, crime, False flag, gun control, Liberals/Democrats/Left, Sandy Hook massacre, United States and tagged Adam Lanza, Chalk Hill Middle School, Dawn Hochsprung, Kevin Anzellotti, Mona Alexis, Reuben Vabner, Universal Service Administrative Company, USAC Form 471, Wolfgang Halbig. Bookmark the permalink. it’s all stunning. the mainstream will stop at nothing to cover up this fraud, WHY??? JIm Fetzer has insisted that Leonard Pozner is actually Reubin Vabner. What is going on? 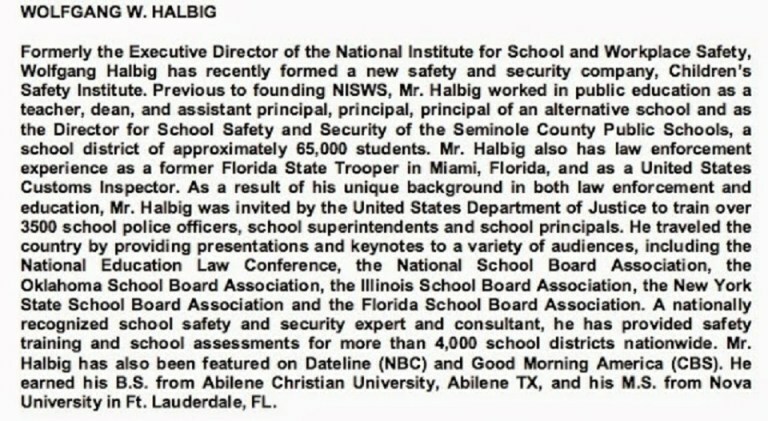 What Halbig failed to point out in his tweets is that the documents he posted show they were modified on 1/02/13. Look on the right, it says created 8/27/12, then modified 1/02/13. 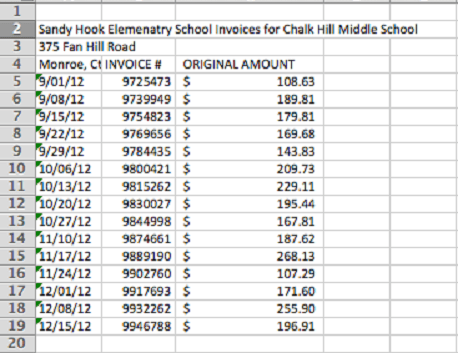 The Sandy Hook students started at Chalk Hill on 1/03. So the food deliveries would have to be changed to go to that school. The database was changed to give the new address.